Are you between the ages of 13 and 30? Do you want to make a difference for the environment in a fun, creative way? SPES is offering FREE workshops in Stanley Park every month just for YOU! Join SPES and environmental artists from EartHand Gleaners for creative “upcycling” experiences with invasive plants. 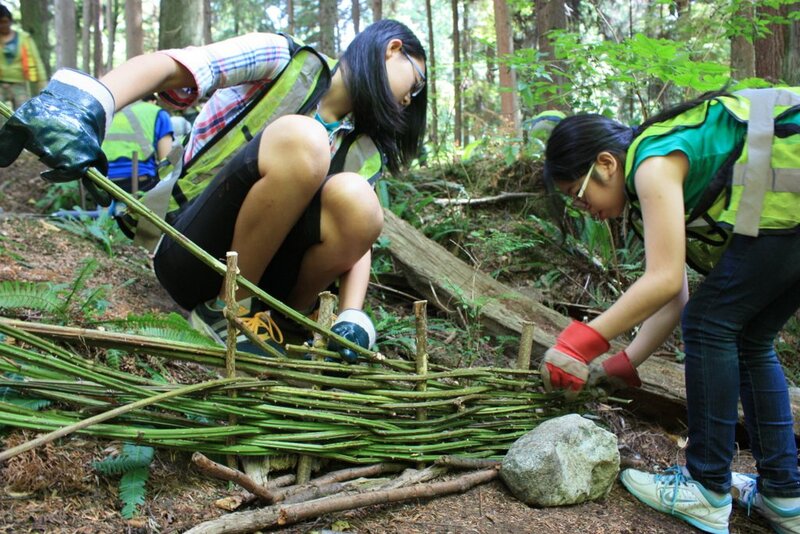 Participants will learn core weaving skills using invasive plant species previously removed from Stanley Park forests and wetlands to create unique and beautiful objects to keep. Each session teaches different steps in processing and techniques for weaving that can be used with a wide variety of plants. Sign up for one session, or come for many and master some serious hand skills while contributing to positive environmental impacts for Stanley Park. Workshops run year-round on weekends from 1:00 p.m. to 4:00 p.m.
Click here for workshop dates and registration form.